Exquisite, space save & multi-function are for automation mixing AM series. It combines the virgin material tank, proportion mixing valve and granulator in one. 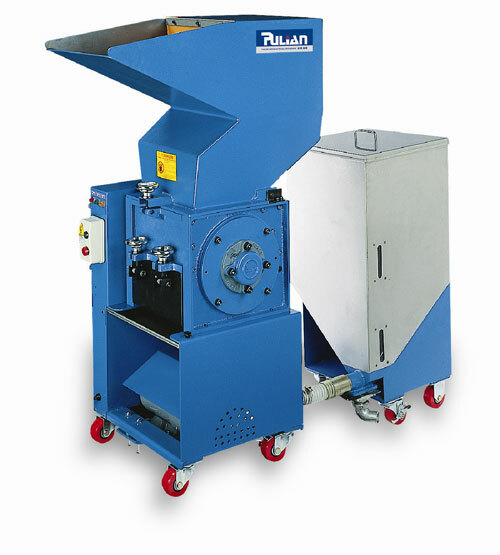 In spite of single material supply or independent recycling function can be equipped with multi-function. Auto Mixer of AM-300 is including crushing machine, proportional mixing scale, material tank 3 in 1 function. the power will be 1.5kw~2.25kw(2HP~3HP), the capacity will be 150~200kg/hr. It is the best model for instant recycle for plastic injection machine. Crushing machine, proportional mixing scale, material tank, 3 in 1 function. best model for instant recycle for plastic injection machine.